Update from the corner of Bleecker Street and Central Avenue in Jersey City Heights! Jersey City’s adopt a catch basin program is thriving! It’s very simple. Sign up to take care of a catch basin (storm drain) and the City of Jersey City will assign an artist to paint something original for you. It’s a win-win situation! The city receives help from the public to keep these drains clear of garbage and snow/ice in the winter and we get beautiful artwork that passers by admire. In addition, because they are of an environmental nature, it helps remind the public to keep the streets clean. 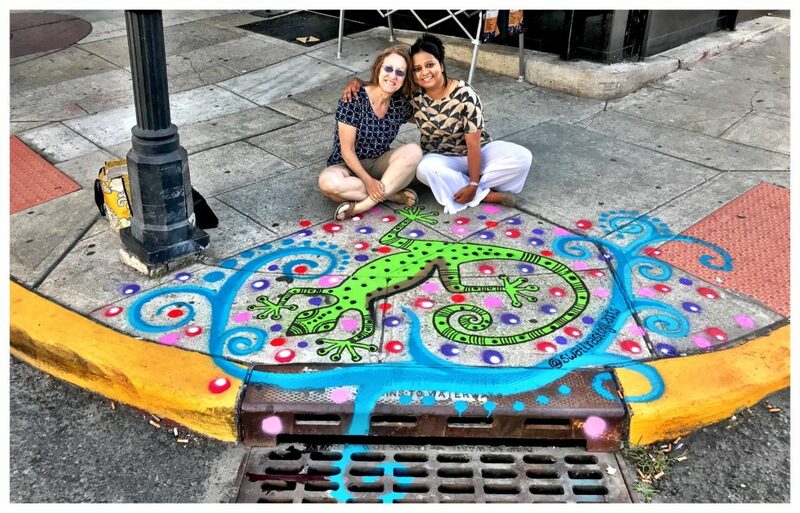 Last year I noticed a beautiful artwork done by artist Swati Rastogi and requested her as the artist for my second corner (opposite last year’s frog). I was so excited when she contacted me this week because it was time for her to paint the corner. 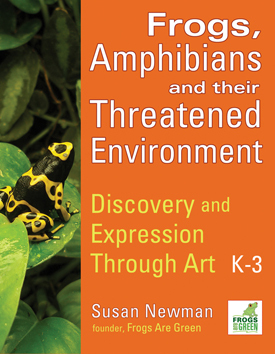 “I never knew what a Salamander was until I was asked by the city to paint one at the corner of Central Avenue & Bleecker Street in Jersey City. Susan Newman who adopted this catch basin has proudly named it “Biodiversity Matters” and is actively letting the residents know about the program. Honestly this “adopt a catch basin” campaign is making the city much more vibrant and creating awareness for how important it is to keep the sewers clean. I wrote about this program last year in greater detail, so check out the article about the program and why it’s so important.